In a medium bowl whisk together flour, baking powder, and salt. Use a pastry cutter or a couple of forks to cut the butter into the flour until all the butter is mixed and the flour looks like fine crumbs. Pour in milk and stir until the dough just holds together. Don't over mix! Lightly flour a clean surface and dump the dough on to the flour. Use your hands to pat the dough together and flatten until you make a disk that is about 2 inches deep. Don't use a rolling pin, you want to do this by hand. 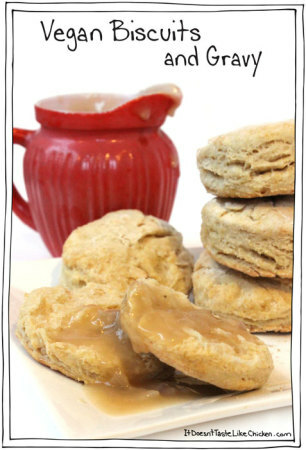 Use a biscuit cutter, an upside-down glass, or a cleaned tin can to cut out 8 biscuits, using up all the dough. Bake for 10 - 15 minutes until the bottoms are golden brown.